Madeline Angelus, the Founder and Director of Energy Medicine Colon Hydrotherapy, received her Social Artistry Master’s Degree in Body/Mind/Spirit under the auspices of Jean Houston PhD, through The Graduate Theological Foundation in Indiana. Madeline has also acquired the equivalent of a Master’s Degree in EEM (Eden Energy Medicine) under the auspices of Donna Eden, author of Energy Medicine, Energy Medicine for Women, and The Promise of Energy Psychology. 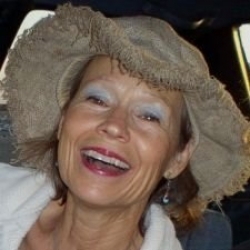 She has also received extensive training in Energy Medicine and Intuitive Integrative Bodywork Techniques with Eden Energy Medicine beginning 2001 to current. 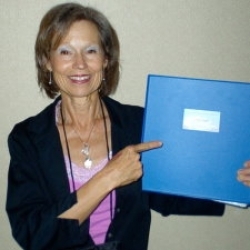 On June 17, 2009, Madeline completed her certification as a Colon Hydrotherapy Instructor and recognized Colon Hydrotherapy School through International Association for Colon Hydrotherapy (I-ACT). Madeline is also certified by the National Board for Colon Hydrotherapy. During private sessions in the clinic, Madeline facilitates basic principles of Energy Medicine while integrating them into Colon Hydrotherapy. In her School, Arts for Vibrant Health, Madeline is available to provide each student unique opportunities for an authentic learning experience by demonstrating and teaching on you and living models, the theory and principles of how subtle energies interact within and outside our body, and their influence and affect on Joy and true Health. More so, Madeline will show you how you, and your clients, can identify these imbalances before they occur, and learn to move towards sustaining subtle energy balance. These techniques are surprisingly easy to learn, simple to use, and enormously helpful, especially when teaching your client to take responsibility for their own health and happiness. Please contact Madeline directly by telephone at (303) 243-4303. Energy Medicine Colon Hydrotherapy © 2018 Madeline Angelus, M.A.